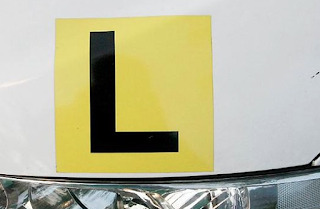 Indicating before changing lanes, checking blind spots and nailing a three-point turn are all requirements to obtain a driver’s licence. While it’s great to outsource the practical lessons to teach your kids how to drive (because, let’s face it, teenagers are not known for taking instructions well from their parents) there are some lessons that just aren’t taught by a trainer but are essential for driving in the real world. How to change a tyre (or at least have the roadside assistance number on speed dial!). Changing a tyre in a remote area may be quicker than waiting for roadside assistance to show up. Keep a toolbox of essentials in the boot of the car, not only for car difficulties, but also for general safety. A torch, old rag, first aid kit, old blanket, jumper leads and some disposable gloves are a great start. Keep a spare mobile phone charger in their car in case of emergencies. How to check tyre pressure and refill air. How to refill petrol and the grade of petrol that is suited to their car. Help them to think about what they would do if they broke down in heavy traffic or in an isolated area. Imagining such a scenario in advance and having a rough idea of what to do will help keep them calm if they find themselves in this situation. Reinforce the importance of not using their mobile phone in the car without a hands-free kit. Giving your kids a great start to their driving career with these tips will also help you rest easy knowing that they’re safe and well prepared.